The Pelican 1520 Waterproof Case is the ultimate way to store, protect, and transport valuable items and equipment. The Pelican cases are virtually unbreakable and totally guaranteed to be chemical resistant and corrosion proof. Pelican shipping cases are airtight, crush proof and dust proof. The 1/4" o-ring seal includes a pressure release valve for adjusting atmospheric pressure change. 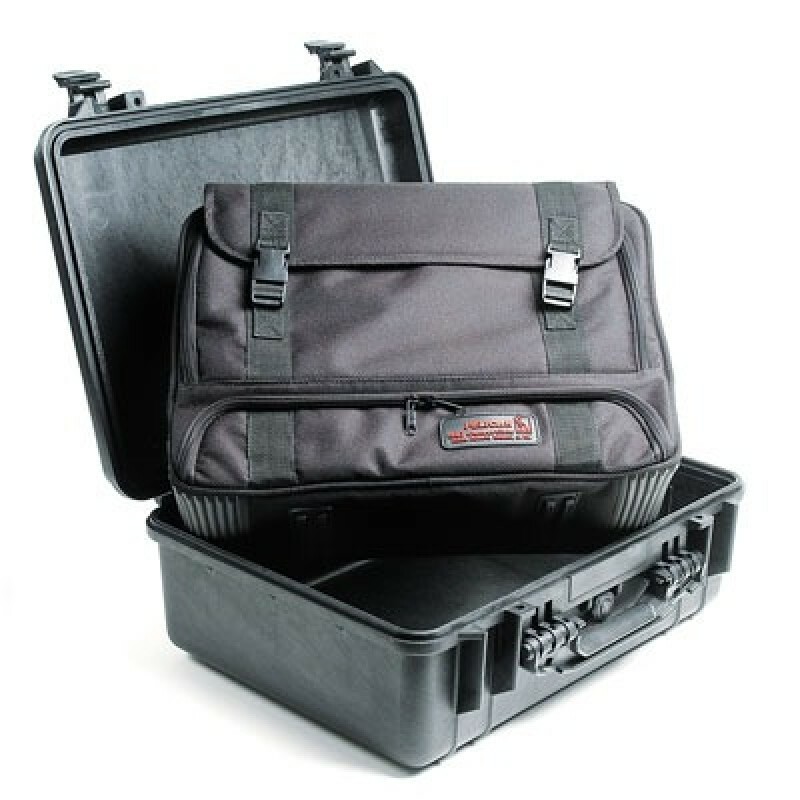 Pelican Case 1526 includes a soft travel bag made of heavy-duty waterproof Ballistic Nylon with multiple front and side pockets. All nylon zippers and clips. Pelican luggage is the only way to protect your equipment during transport. 17.75" x 13.50" x 7.25"